Girls to the Front is the epic, definitive history of the Riot Grrrl movement - the radical feminist punk uprising that exploded into the public eye in the 1990s, altering America's gender landscape forever. 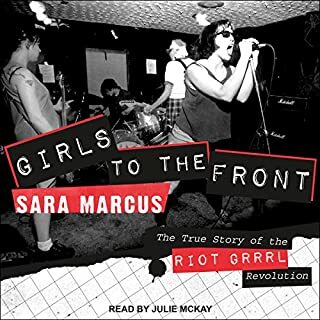 Author Sara Marcus, a music and politics writer for Time Out New York, Slate.com, Pos, and Heeb magazine, interweaves research, interviews, and her own memories as a Riot Grrrl front-liner. From the guitarist of the pioneering band Sleater-Kinney, a candid, funny, and deeply personal look at making a life - and finding yourself - in music. Before Carrie Brownstein became a music icon, she was a young girl growing up in the Pacific Northwest just as it was becoming the setting for one the most important movements in rock history. Seeking a sense of home and identity, she would discover both while moving from spectator to creator in experiencing the power and mystery of a live performance. With Sleater-Kinney, Brownstein and her bandmates rose to prominence in the burgeoning underground feminist punk-rock movement that would define music and pop culture in the 1990s. 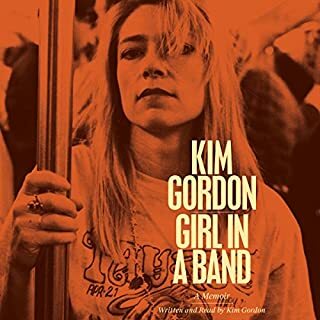 They would be cited as "America's best rock band" by legendary music critic Greil Marcus for their defiant, exuberant brand of punk that resisted labels and limitations and redefined notions of gender in rock. Hunger Makes Me a Modern Girl is an intimate and revealing narrative of her escape from a turbulent family life into a world where music was the means toward self-invention, community, and rescue. Along the way Brownstein chronicles the excitement and contradictions within the era's flourishing and fiercely independent music subculture, including experiences that sowed the seeds for the observational satire of the popular television series Portlandia years later. With deft, lucid prose Brownstein proves herself as formidable on the page as on the stage. 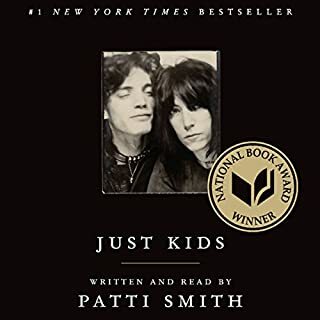 Accessibly raw, honest, and heartfelt, this audiobook captures the experience of being a young woman, a born performer, and an outsider and ultimately finding one's true calling through hard work, courage, and the intoxicating power of rock and roll. I became a fan of Carrie Brownstein when she was a critic on NPR's All Songs Considered. 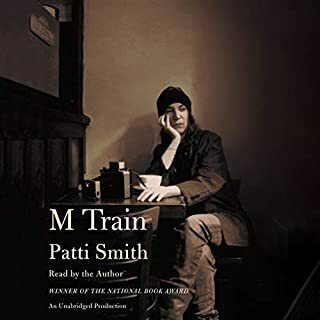 I waded into some Sleater-Kinney and found a few tracks I liked a lot, then after listening to this book (and while listening to the book) I dove into the entire S-K catalogue and now consider myself to be A super fan. This book is mostly about Sleater-Kinney, I dont think she even mentioned her NPR gig and barely mentions Portlandia. But you so not need to be a fan of any of her work to appreciate this book. Ms. Brownstein's journey from fan to musician is one that any music bio fan will appreciate. Spoiler alert: being on tour is not glamorous! Ms. Brownstein is not only funny and sometimes self-deprecating, but she is really honest. I was impressed with how she acknowledged her mistakes, and the people she hurt along the way. I felt like I was participating in an apologetic confession. Not in a bad way hough! It's a lot lighter than I am making it sound! except for one part near the end. I could have lived without hearing about a bad thing that happened in her household one day, but I think she needed to include it. For her. And bad things DO happen. I appreciated the "bonus" interview that came with the audio book. I am a fan of both sleater-kinney and portlandia and wild flag. brownstein does a great job shedding light on band/touring life and a relationship to music. however I don't know that I learned much about what changed over the course of the hiatus that helped heal old wounds or helped her grow emotionally....so the resolution felt unearned and out of nowhere... everything went wrong until suddenly it was fine again. my other criticism would be the vocabulary choices making the prose seem academic, fussed over so much as if to impress English professors. this has the effect of presenting a very honest, personal story come off as a little too distant and packaged. 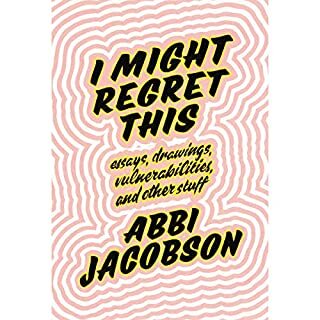 As someone who was somewhat cheated out of experiencing Riot Girl and subsequent genres/movements, listening to this book was a real revelatory experience. It is made even better by the fact that Brownstein reads the text. What did you like best about Hunger Makes Me a Modern Girl? What did you like least? I got to the middle of chapter 7 of 28 before I found the narration too annoying to continue. Thankfully I did not pay money for the book and got it for free. A "punk" memoir this is not. This is Carrie Brownstein. She shops at the Gap, went to pretentious Evergreen State and tells you early on that she had never even met a person who lived in a (gasp!) apartment building until she was in middle school. Her mother, suffering from anorexia, warns the young Carrie not to judge the other patients at the rehab center because they (gasp!) shop at thrift stores. She then goes on to detail how her parents underwrote her "punk rebellion". Gag me. She describes growing up in a family that was aloof, distant and overly intellectual. Apparently she inherited those traits because that is exactly how I found the book. I agree with the other reviewer who said it sounds like it was written as a college essay. Overly pretentious words like "insouciant" sprinkle nearly every sentence. And why would you ever begin a sentence in a memoir with the words "Additionally..."? The language is so heavy-handed, I found it unbearable to get through. This is less of a moving account of someone's life and more of an opportunity for Carrie Brownstein to highlight her academic writing skills. What three words best describe Carrie Brownstein’s performance? I never knew much about Sleater-Kinny, but am a die hard Portlandia fan, so was very excited to hear the story about the band who helped make her the awesome person she is today. The story wasn't always pleasant, but a lot of her life experiences were relatable. Throughly enjoyed the interview at the end. 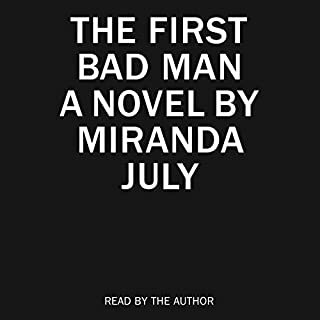 Really hope she writes another after the next chapter of her life post-Portlandia. This was my first musician memoir and the author plays a genre to which I do not listen. Yes, the author is a musician and this book tells that story but it is so much more than that. The writing is raw and puts needed words around what it means to grow up and discover your own person. The narrative speaks to a depth of creativity and individual desire that is rarely heard outside of ones own mind. so good demystifying the breakup of SK while giving an open and honest account of dealing with mental illness. thanks Carrie. 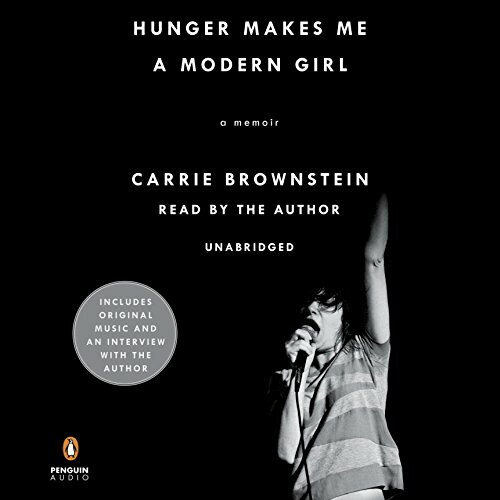 Listening to Carrie Brownstein read her own story adds so much to this beautifully written memoir. You get the added bonus of some musical performance as well. Highly recommend.